Cersonsky, Rosen & García, P.C. 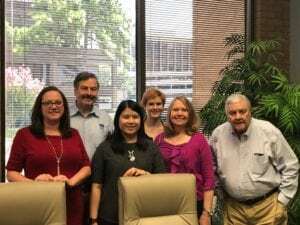 is participating in the Minority Opportunities in the Legal Profession (MOILP) 1L Summer Clerkship Program for a third year and is employing a second Clerk for the summer, Ramille Law. Ramille has a Bachelor of Arts in Music from the University of St. Thomas. She is attending South Texas College of Law Houston, and the firm is excited to have her for the summer. The Minority Opportunities in the Legal Profession (MOILP) 1L Summer Clerkship Program is offered through the Houston Bar Association. It provides diverse 1L students an opportunity for clerkship at a law firm, corporate legal department or legal nonprofit organization. 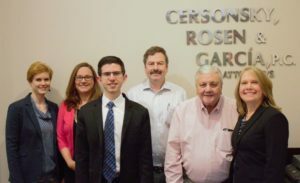 Cersonsky, Rosen & García, P.C. 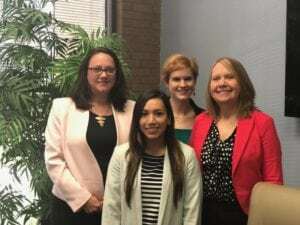 is participating in the Minority Opportunities in the Legal Profession (MOILP) 1L Summer Clerkship Program for a third year and is employing Erika Bustamante as a Clerk at the firm. Erika has a Bachelor of Arts in International Relations and Global Studies from the University of Texas at Austin. She is attending the University of Houston Law Center, and the firm is excited to have her for the summer. Cersonsky, Rosen & García, P.C. is participating in the Minority Opportunities in the Legal Profession (MOILP) 1L Summer Clerkship Program for a second year and is employing Cynthia Adjain as a Clerk at the firm. Cynthia is from the Ivory Coast and has a Bachelor of Arts in Political Science (Pre-Law) and Spanish from University of Massachusetts Dartmouth and a Maters of Public Health from Northeastern University. She is in the part time program at University of Houston Law Center, and the firm is excited to have her for the summer. On March 8, 2017, International Women’s Day, our Senior Associate, Marianne G. Robak attended the 2017 HERWorld Energy Forum where she was on a panel with Josh Levs, former CNN news correspondent and author of All In, where they discussed women in leadership and gender parity in the workplace. 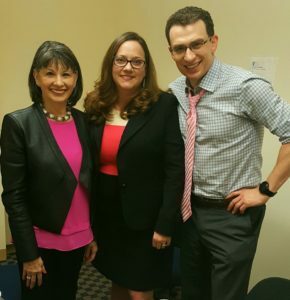 The panel moderator was Gloria Feldt, founder of Take the Lead Women and author of No Excuses: Nine Ways Women Can Change How We Think About Power. Cersonsky, Rosen & García, P.C. is participating in the Minority Opportunities in the Legal Profession (MOILP) 1L Summer Clerkship Program this summer by employing Carlos I. Ruiz as a Clerk at the firm. Carlos is from Venezuela and has a Bachelor of Science in Biochemistry from University of Texas. He has just completed his first year of law school at the University of Houston Law Center and is sure to add a unique perspective to the firm. 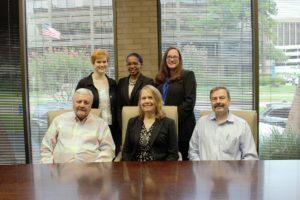 Jacquelyn D. McAn elly, Associate at Cersonsky, Rosen & Garcia, P.C., is wrapping up serving on the Houston Bar Association’s Habitat for Humanity Committee for 2015-2016. The HBA’s partnership with the Houston Habitat for Humanity has resulted in building 19 houses for 79 Houstonians, 52 of which were children. The HBA raised $75,000 in funds for the house and then, over an 8-week period, rallied volunteers in the legal community and friends to help on construction of the house. 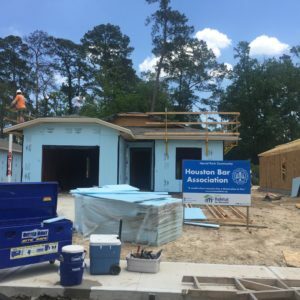 Jacquelyn D. McAnelly served as build captain for the first weekend of construction with the HBA, and volunteered with other Houston area lawyers putting up siding on the last weekend. Important Notice: This web site is not to be interpreted as providing legal services, nor as proposing any form of legal services. Any communications between you and Cersonsky, Rosen & García, P.C. through this web site cannot be interpreted as establishing an attorney-client relationship. Cersonsky, Rosen & García, P.C. must comply with the Texas Disciplinary Rules of Professional Conduct and enter into a written representation agreement before consenting to provide legal representation for a prospective client. [c] [y] Cersonsky, Rosen & García, P.C.